Of course, at scrum-half the Lions could be taking runners, riders and perhaps even a goal kicking option in order to cover every Test match style. 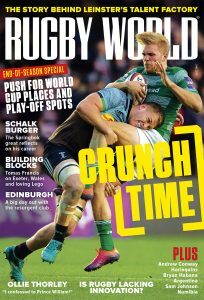 Much has been made of the tourists’ need for a true openside, with a polymath able to link play quickly but, more so than anything else, land on a fallen ball carrier like a house on a wicked witch. However, with a balance to the pack seen as a necessity the options at scrum-half are more open with much depending on the make-up of the opposition – something that Gatland cannot know fully until he has already hauled his men onto the shores of Australia. Mike Phillips travels because he is a big game player. He thrives when the attention level is great and weight of men before him is high. He crashes more spectacularly than any stock market when the stakes are high. Yet Phillips is not always a completely complimentary accompaniment to the team that want to crash wider out and score from several passes over 10m. He can do it, but life would be easier for the spiky half-back if every game was billed as a slog. Perhaps the British Isles do not have the scrum-half for the scenario above. 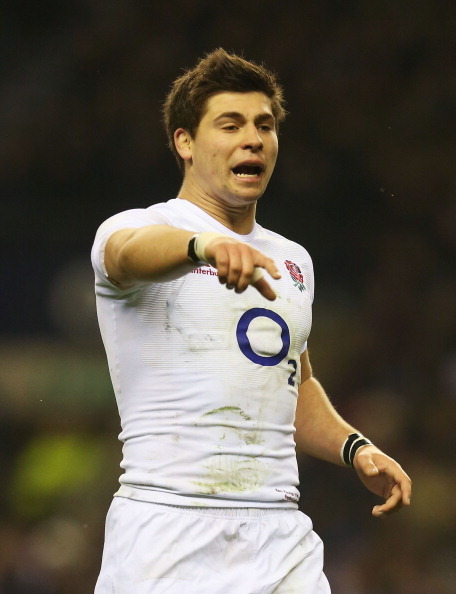 What they do have, though is a Phillips-lite in Conor Murray and a lateral dragger with winged heels in Ben Youngs. Murray may be too similar to Phillips to merit pushing into the starters spot from day one, with his backside-slapping motivational technique and penchant for running at the ugliest defender he can see. Youngs, on the other hand, is so quick his undercrackers have to be flame retardant, but can get caught running playing partners out of space and drag tackles onto his targets. All three like a tap and go and will force the pace. What happens if Gatland wants nous and a calming influence, though? The aforementioned trio need fire if they are to succeed, that much is known, but against Australia there is often a need to give them something different to play against. With Will Genia zipping passes out and then shouldering burden when his pack move is nice. He cannot do it if the tactic is to turn him and make him feed his support tracking back. If the Lions have to run Australia round after taking them on and whipping and whirling and roaring a pack onwards, it would be nice to have something different. The problem is that many see Danny Care as undercooked, struggling to land kicks where he wants and forced to try harder than he would like to get noticed, while Greig Laidlaw is seen as a 9 ½ more than anything else. Both have their qualities, but they may be cursed by being square pegs, set aside in case they are ever needed to jam into round holes. Their odds are drifting out, though still more visible than the true outsider Lloyd Williams, the Cardiff yapper who many thought may have been a bolter before his knee was totalled on Judgement Day. The good thing is that Gatland knows what is in front of him in this department. The bad knews is that Australia do, too.